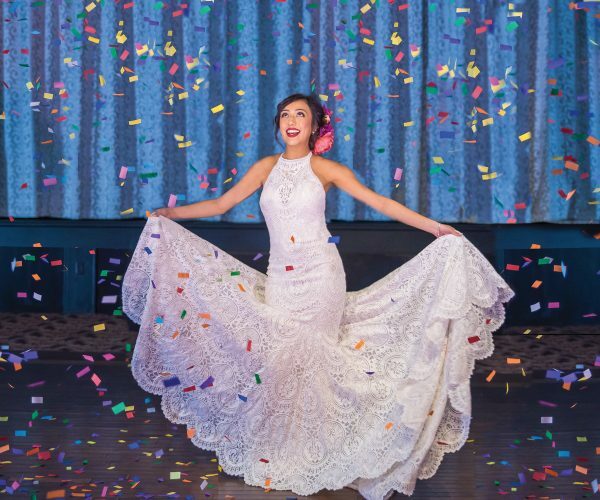 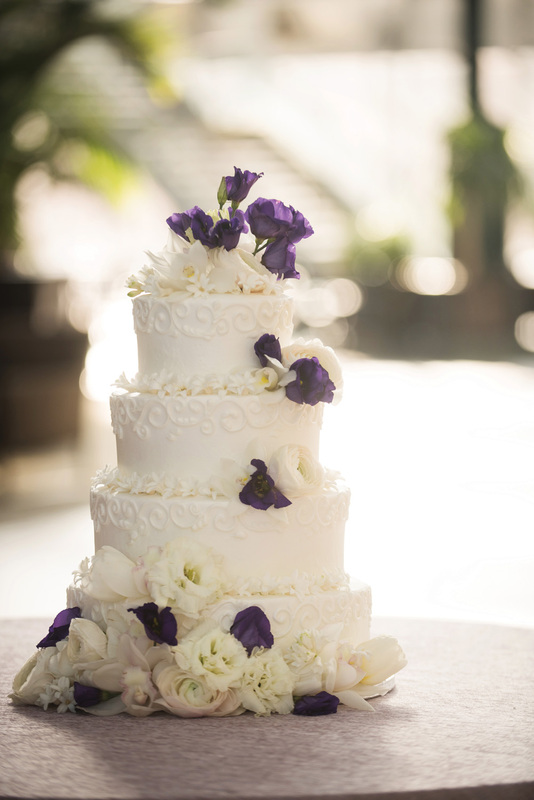 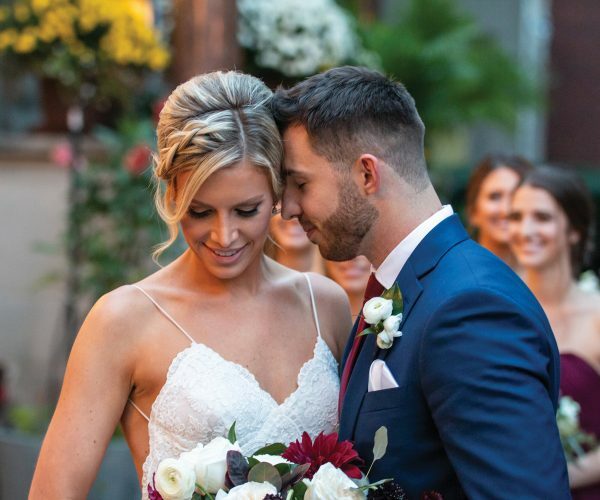 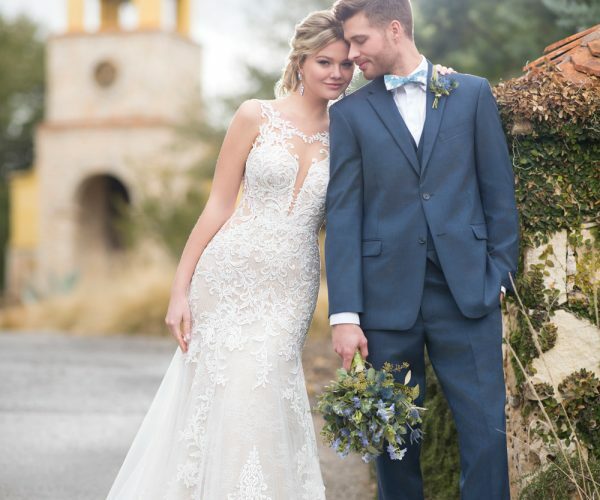 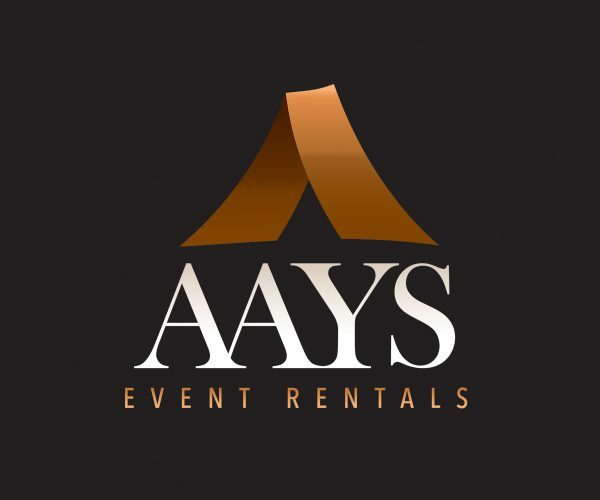 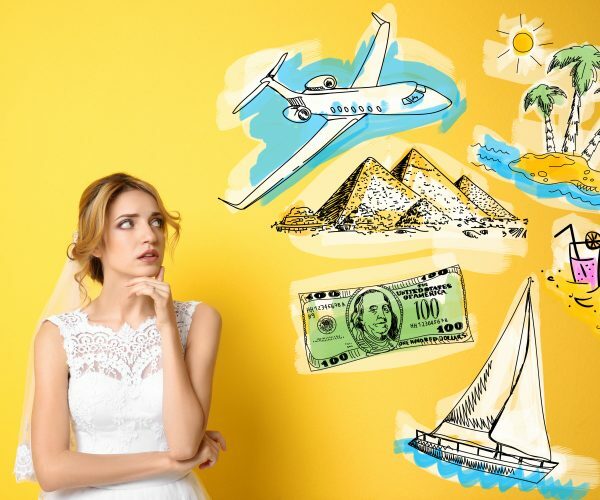 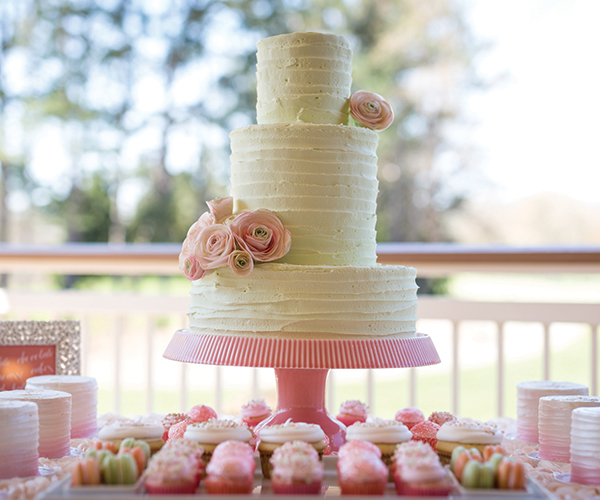 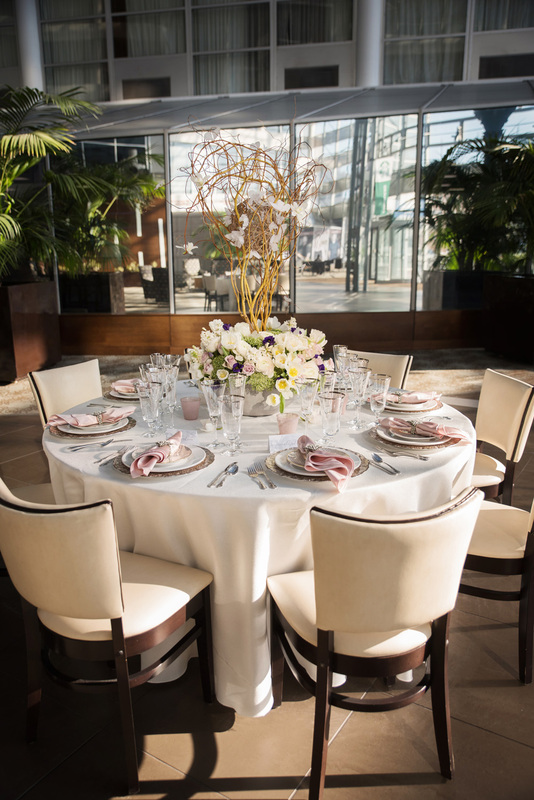 After a cold and snowy winter, the perfect way to jump into the new season is by having a springtime wedding! 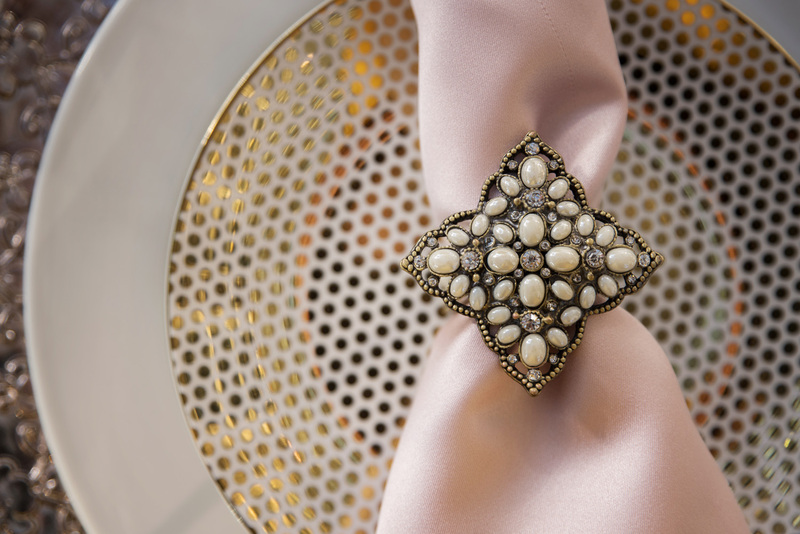 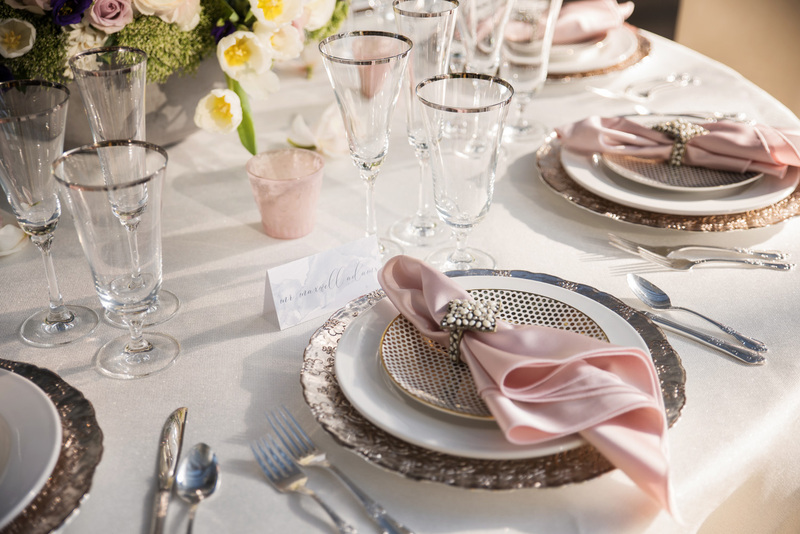 When we think of spring, we think of pastel colors, blooming flowers, and a day full of light. 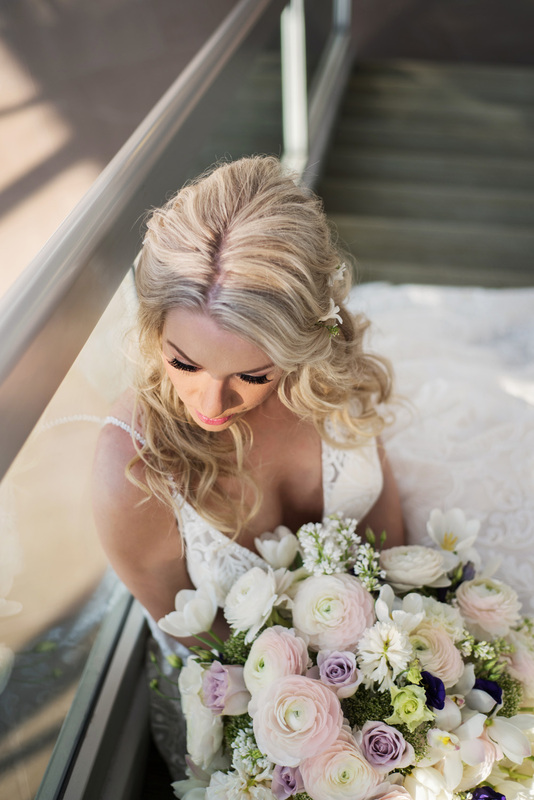 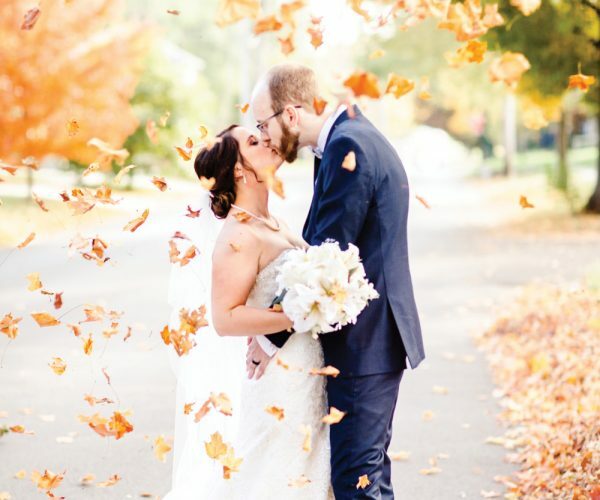 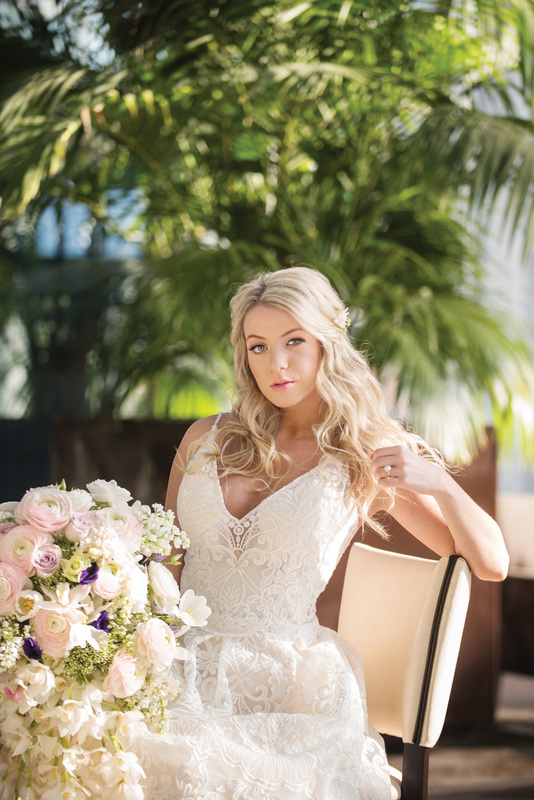 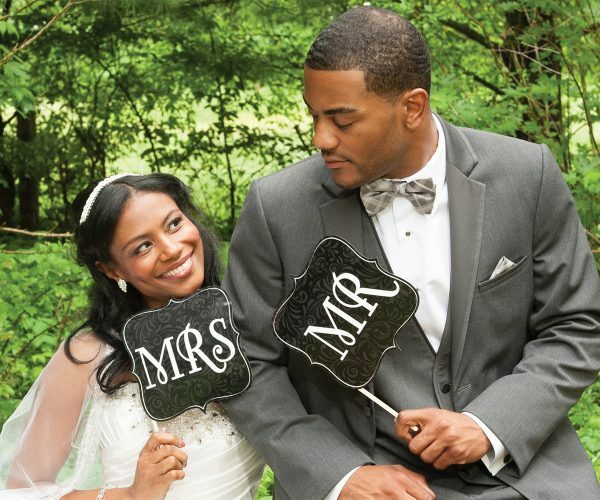 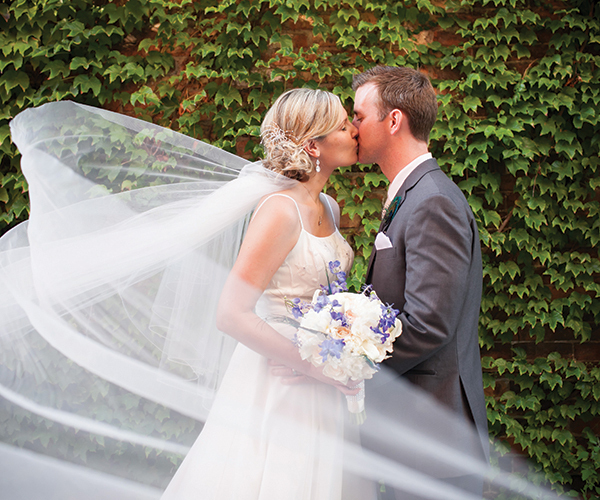 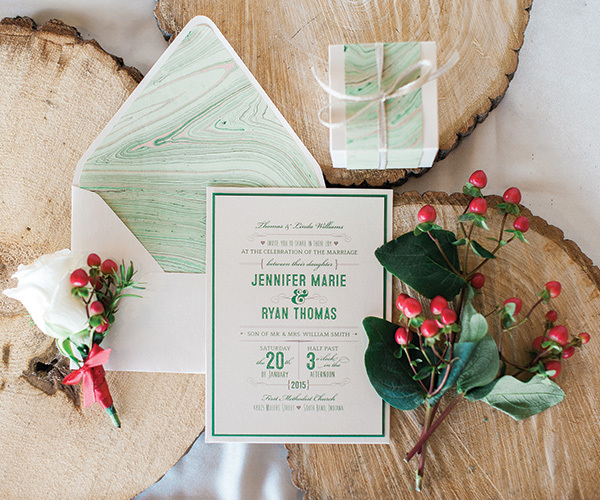 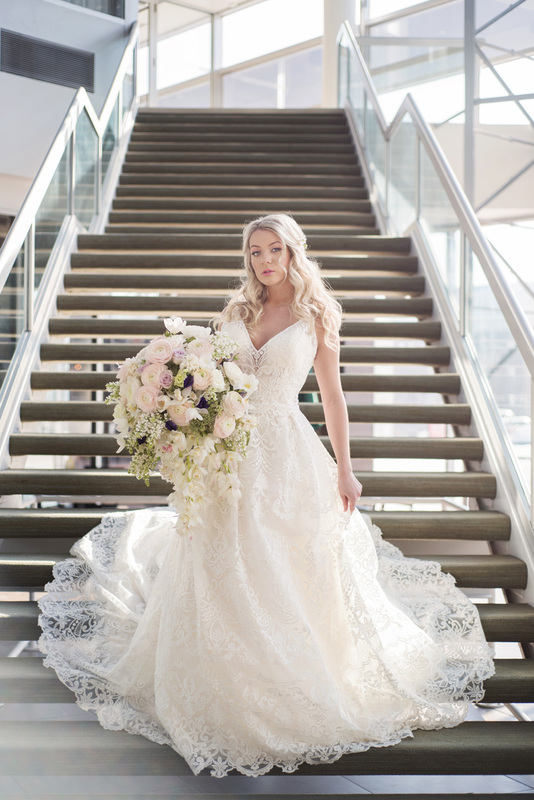 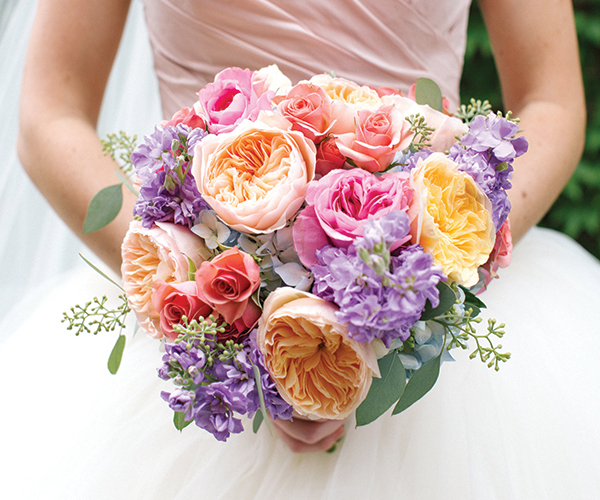 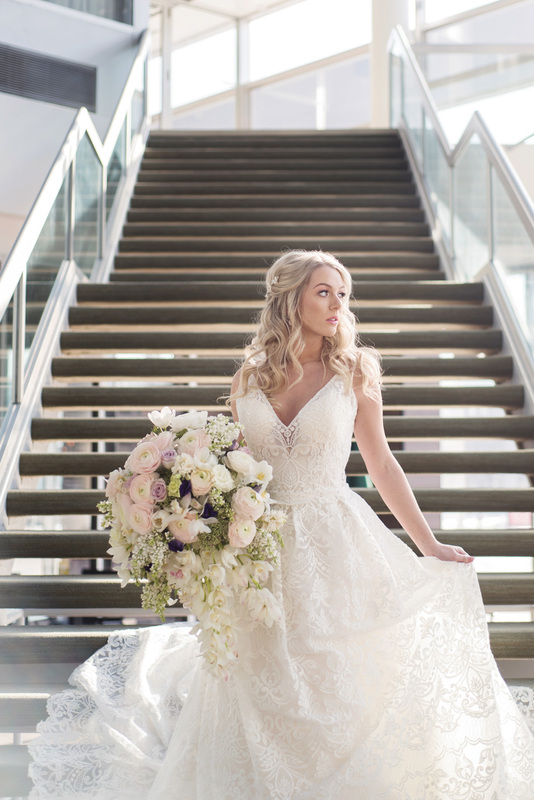 For this stylized shoot, JB Photography truly captured the essence of brightness. 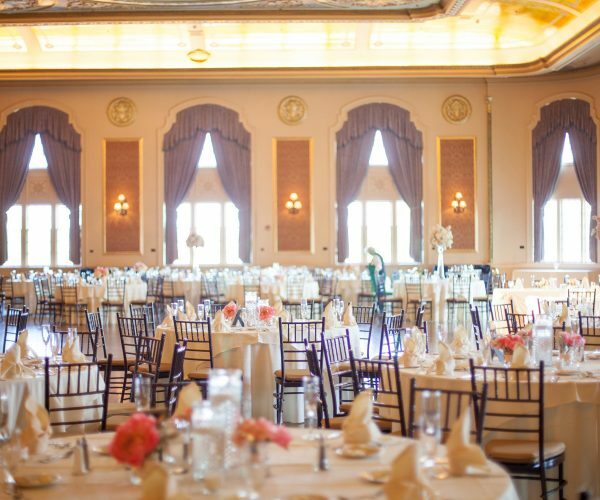 And, the most perfect place to showcase that is the DoubleTree By Hilton in Downtown South Bend. 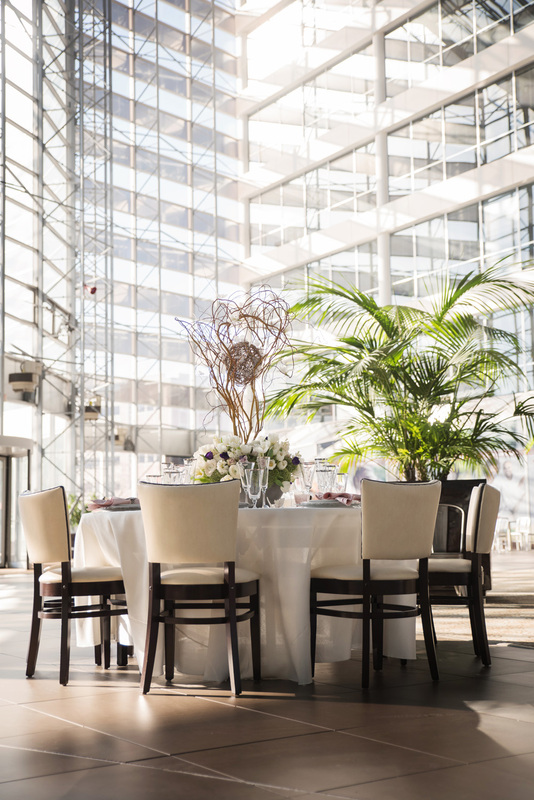 The atrium inside this beautiful hotel is simply breathtaking during the day and would make a magical evening wedding as well. 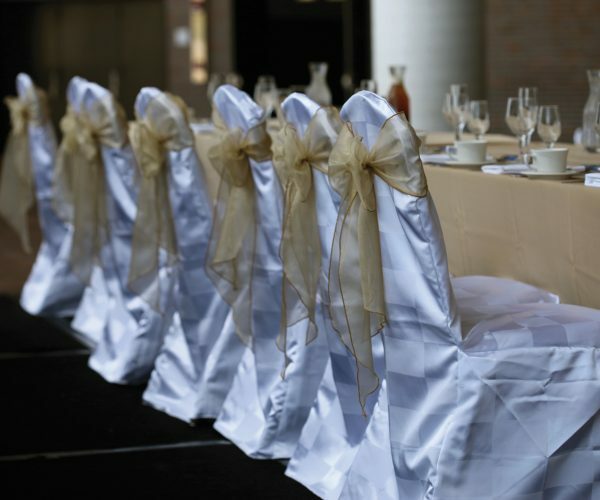 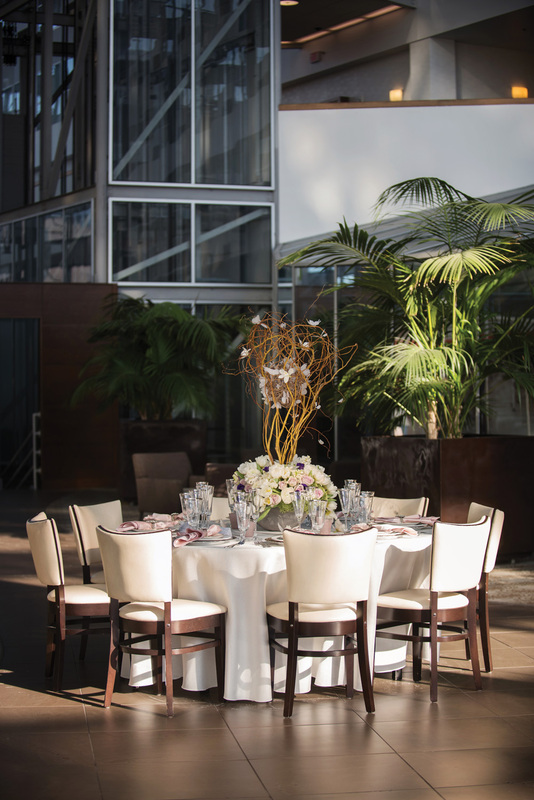 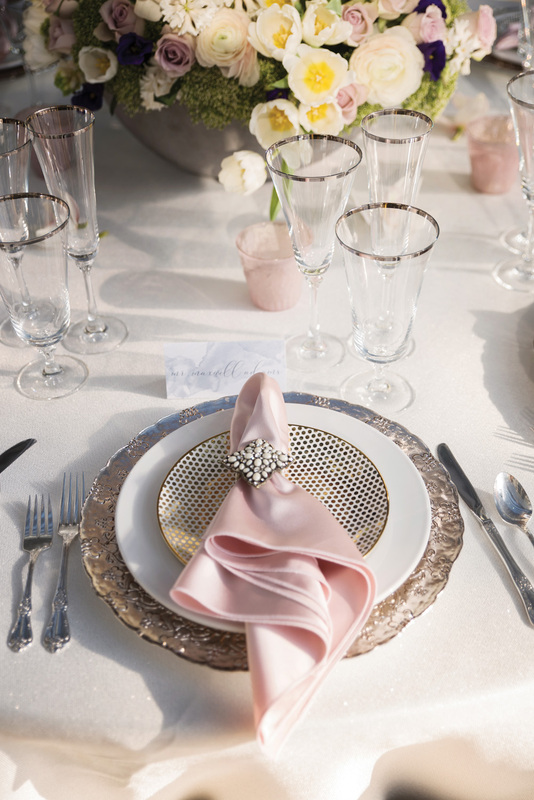 Burns Rent-Alls created a stunning tablescape for any wedding guest to feel glamorous. 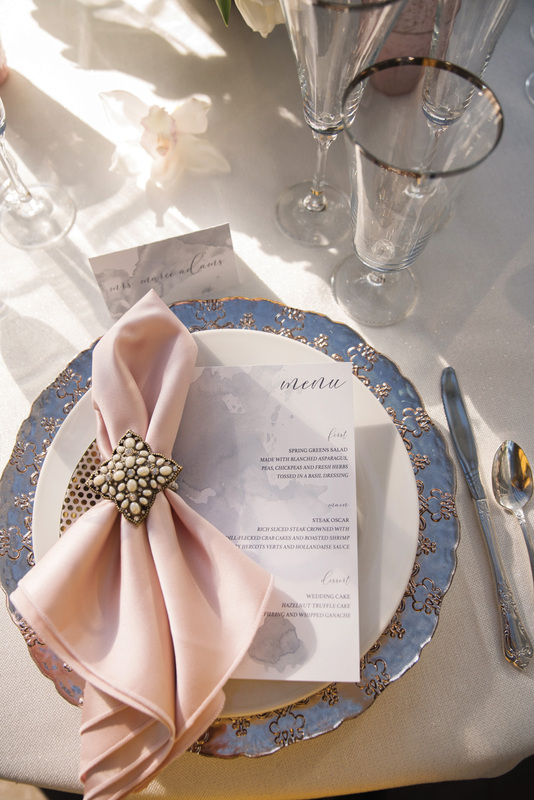 We loved how they incorporated the blush color in with the napkins along with the beautifully decorated plates that combined the blush and gold giving it a mere whimsical touch. 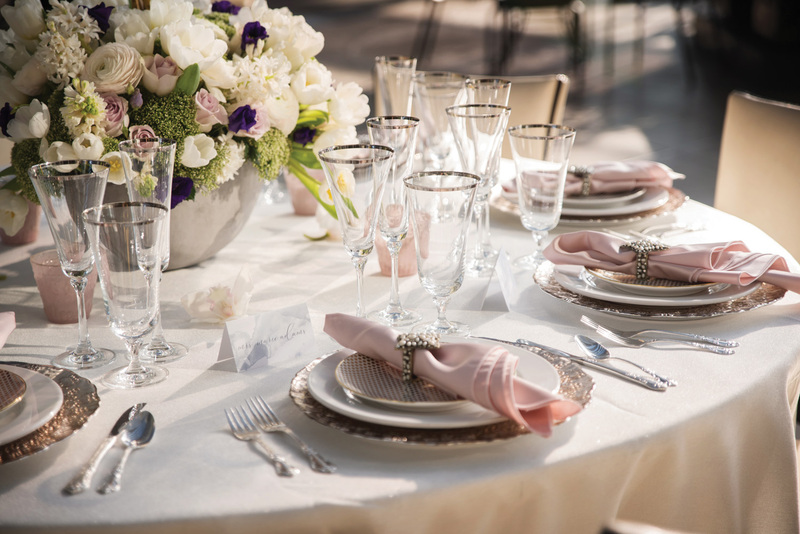 The silver lined stemware tied in the silverware creating an even flow. 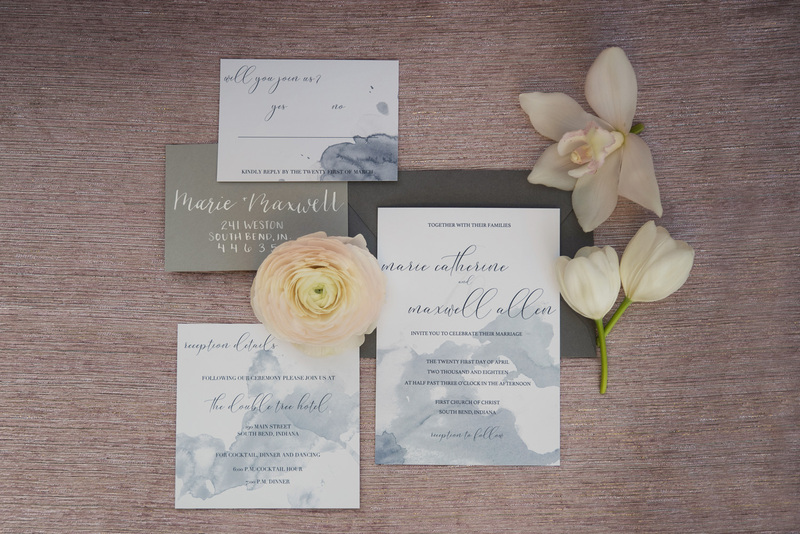 The stationery created by Lined Goods was the perfect touch to the tablescape adding a hint of grey. 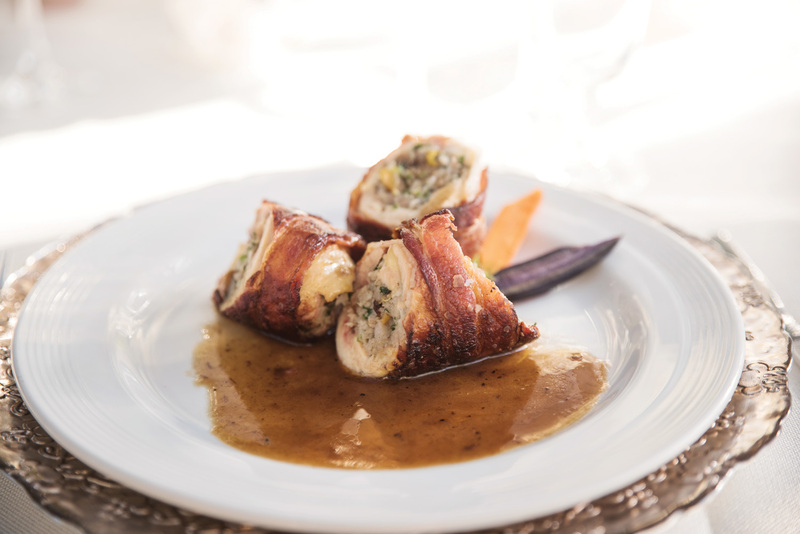 DoubleTree prepared the most appetizing plate that included a chicken thigh de-boned and stuffed with pork and chicken sausage, fresh thyme, garlic, parsley, salt & pepper and roasted pistachios. 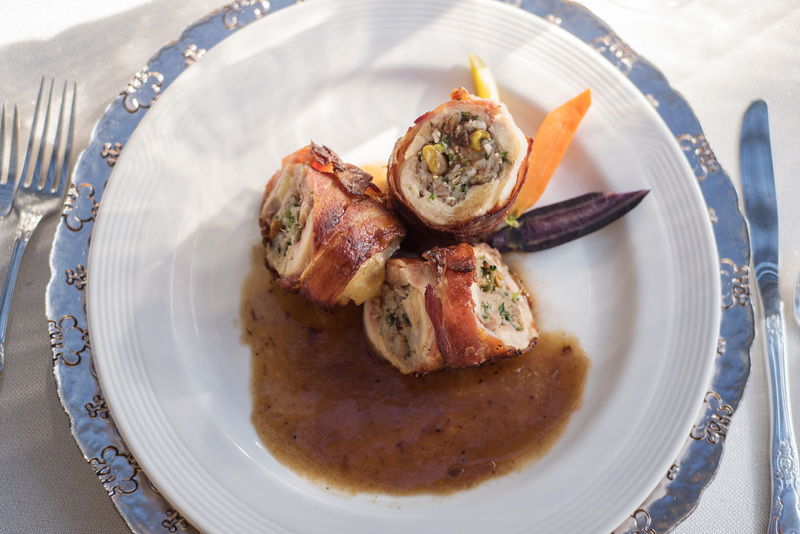 The chicken was wrapped in bacon and finished with a sherry vinegar & Marsala wine sauce. 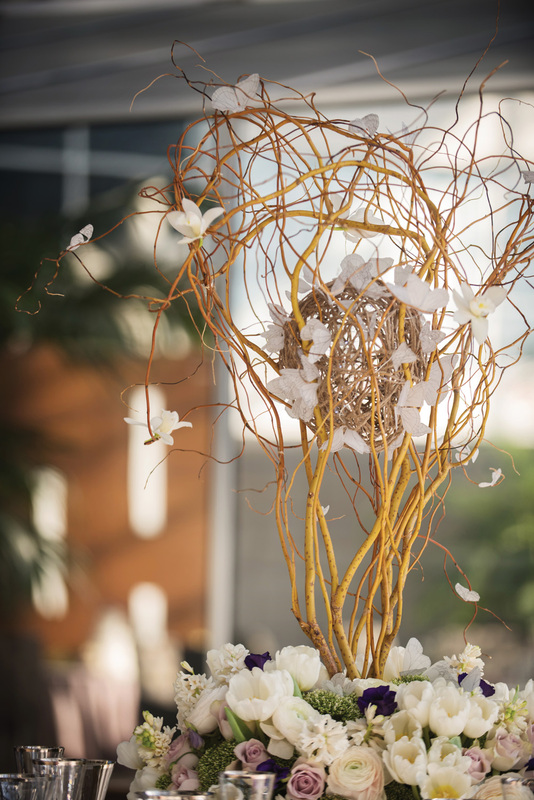 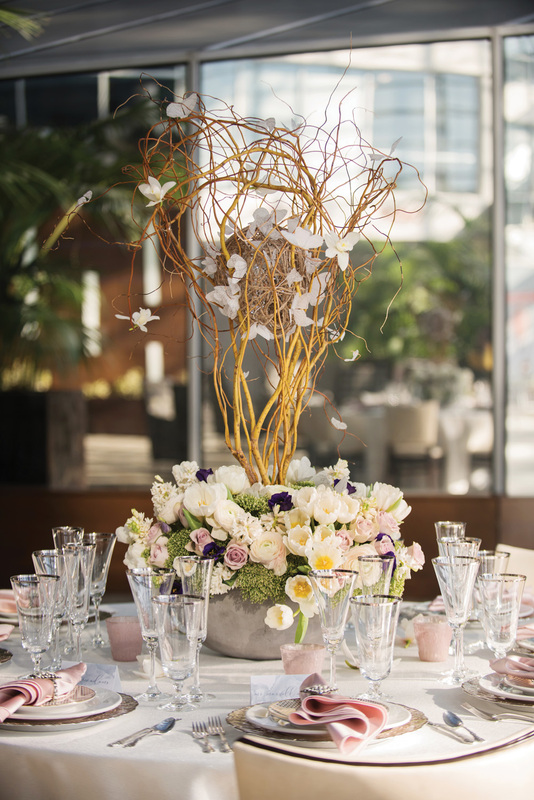 One of the most eye catching pieces on the tablescape was the exquisite floral centerpiece. 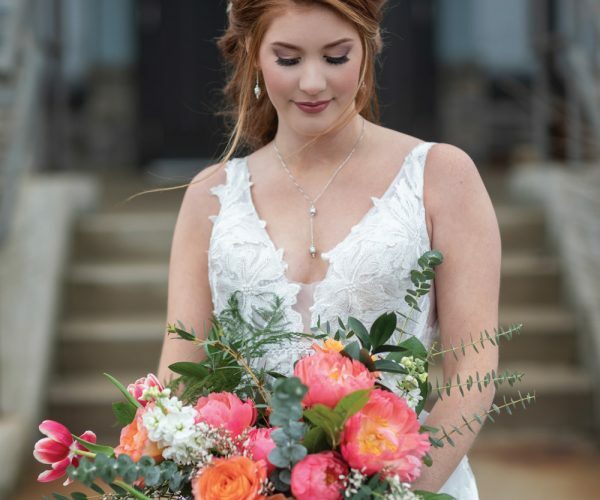 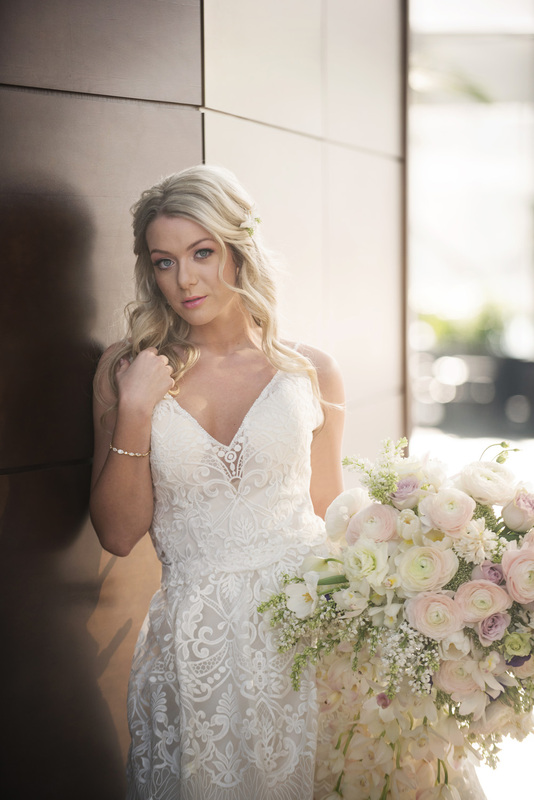 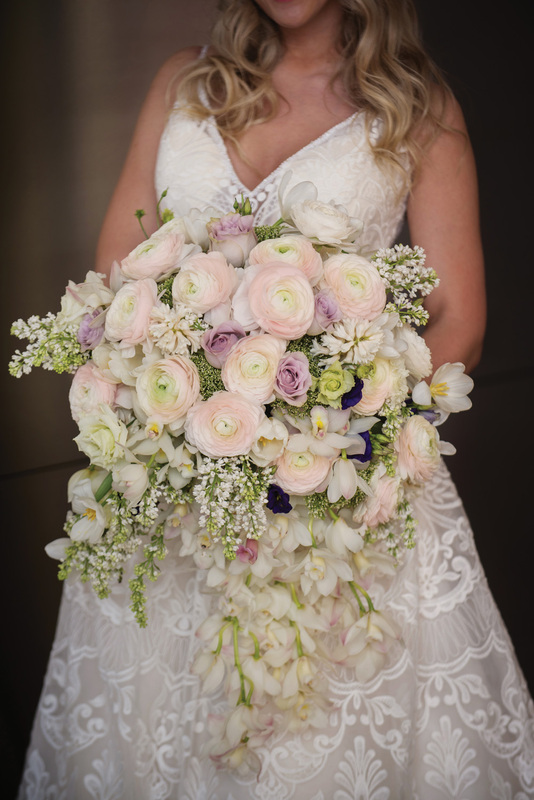 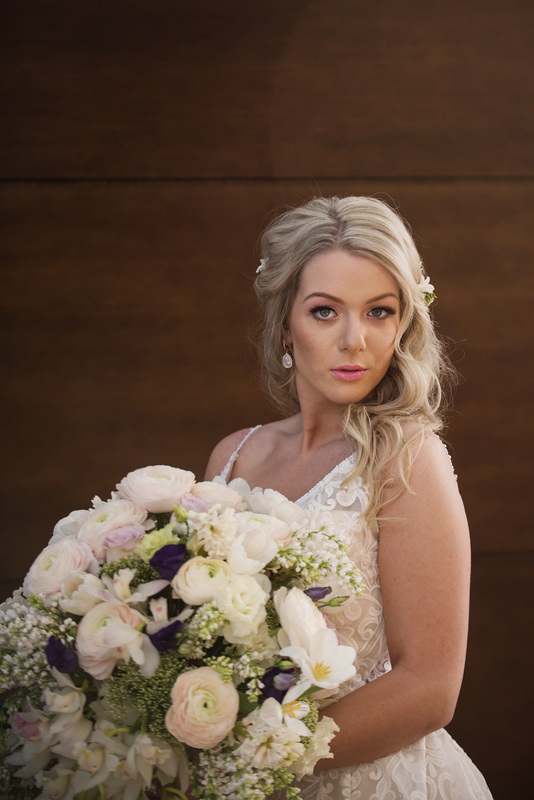 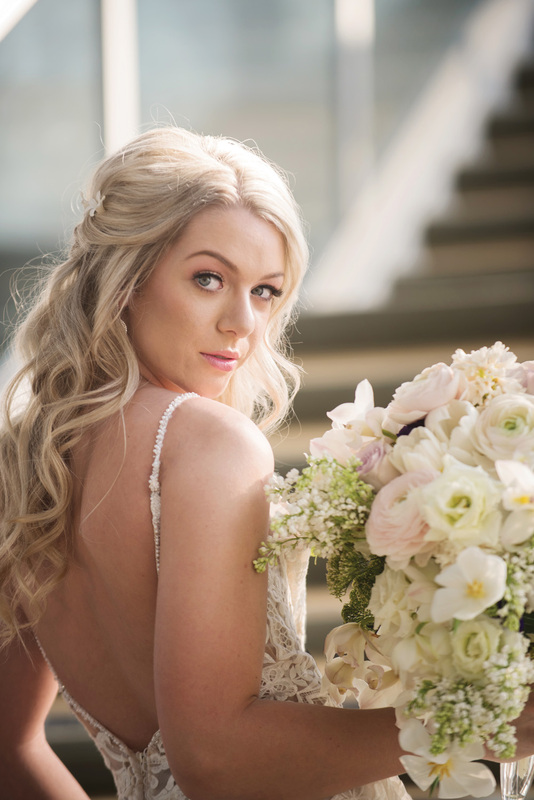 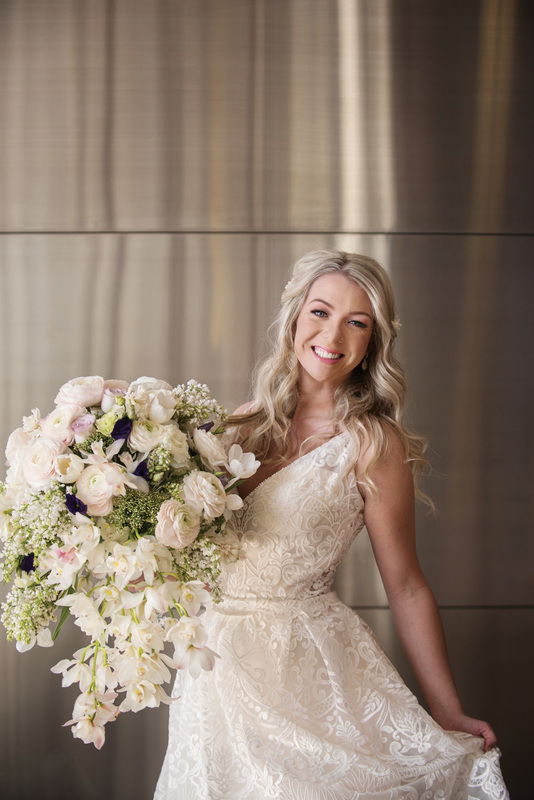 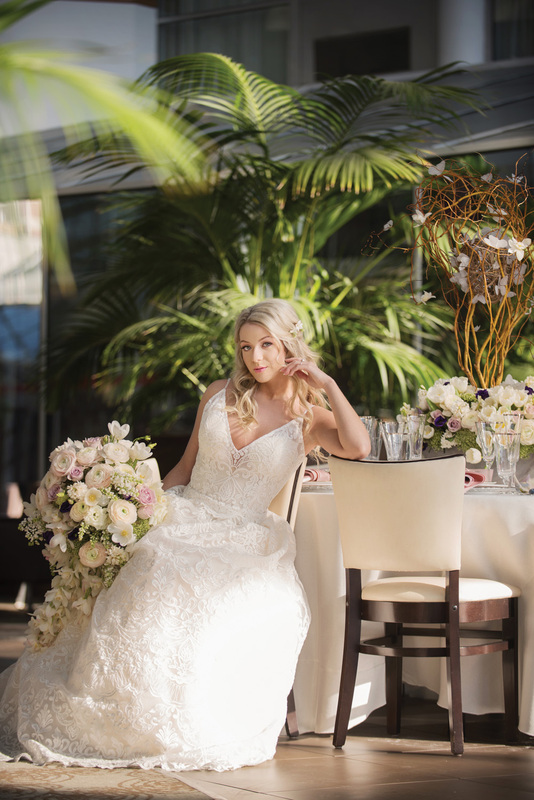 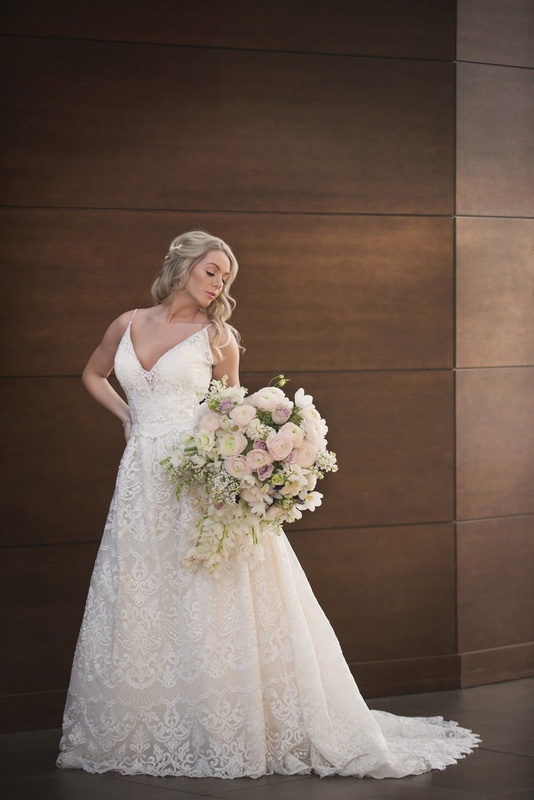 Blossom Floral Design used blush pink ranunculus, white lilacs, white tulips, white cymbidium orchids, white hyacinths, deep purple lisianthus, mauve roses and trachelium in the centerpiece along with the bride’s bouquet. 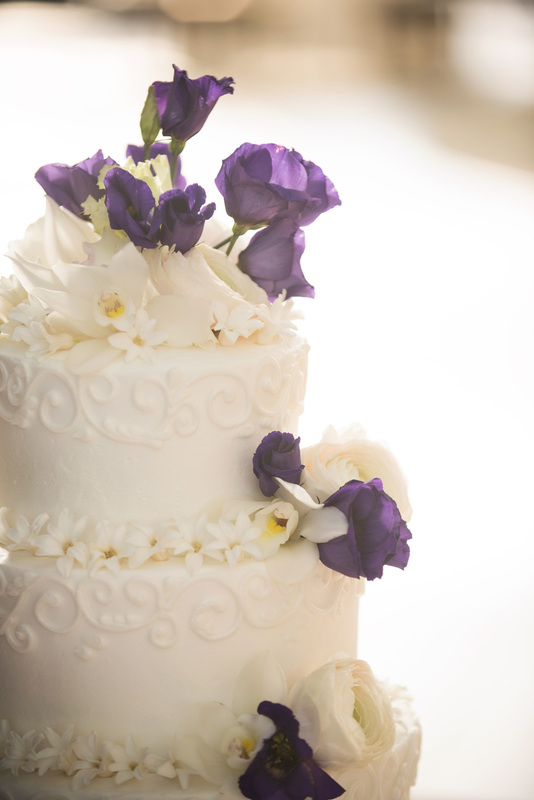 Blossom Floral Design also provided the flowers for the cake made by Martin’s Super Market. 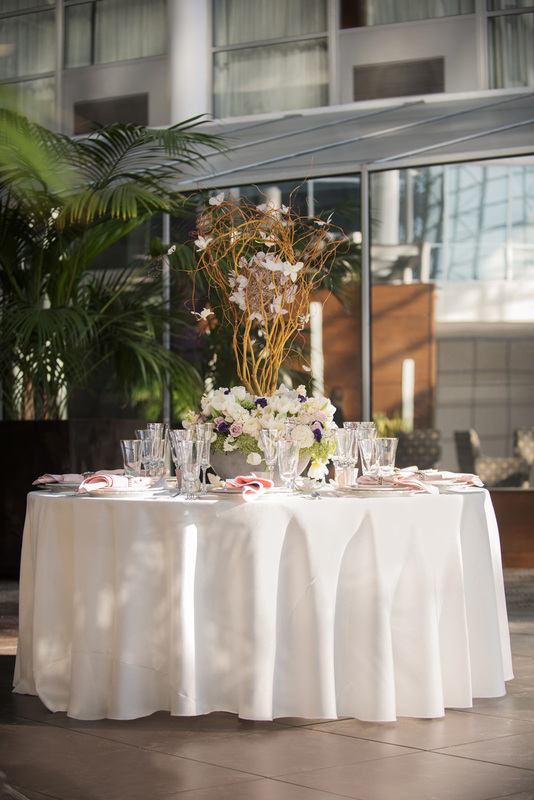 If you look closely, at the table’s centerpiece, you will find small white butterflies resting on the branches! 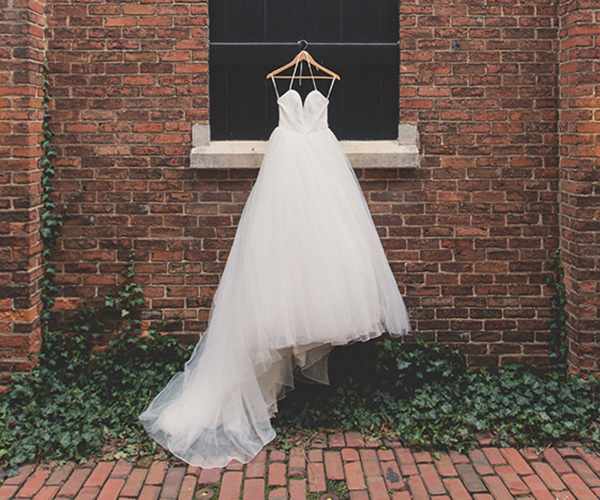 Simply gorgeous and embraces the whimsical theme. 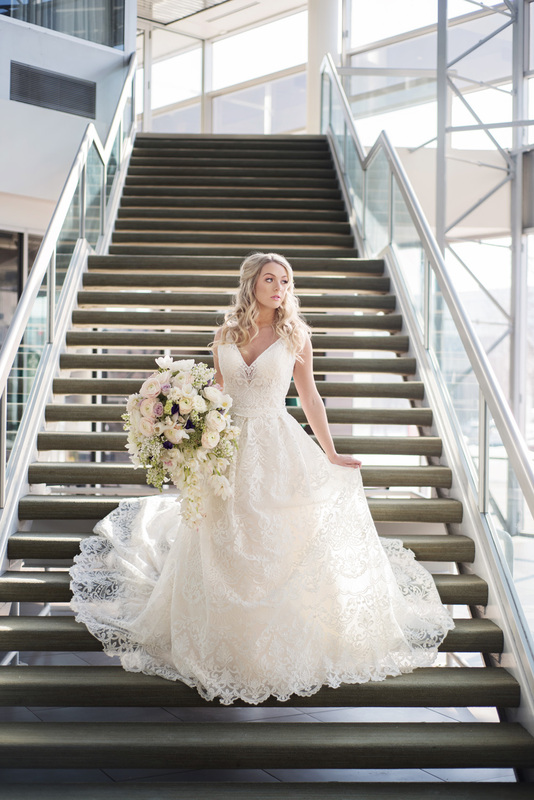 Our model, Toni Wyatt, looked stunning in an all lace gown provided by Simply Yours Bridal & Formal Wear. 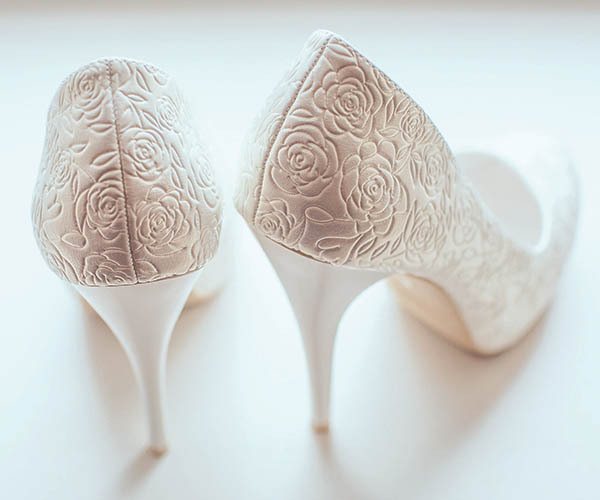 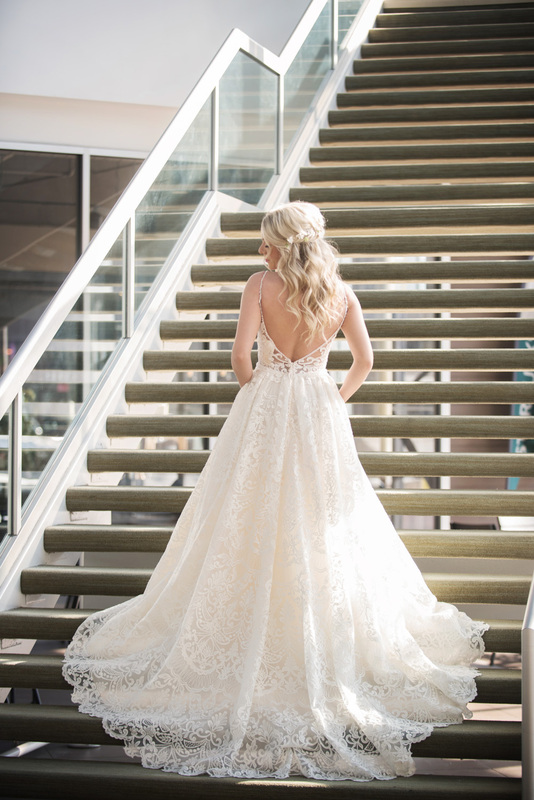 The open back created an elegant and romantic flair. 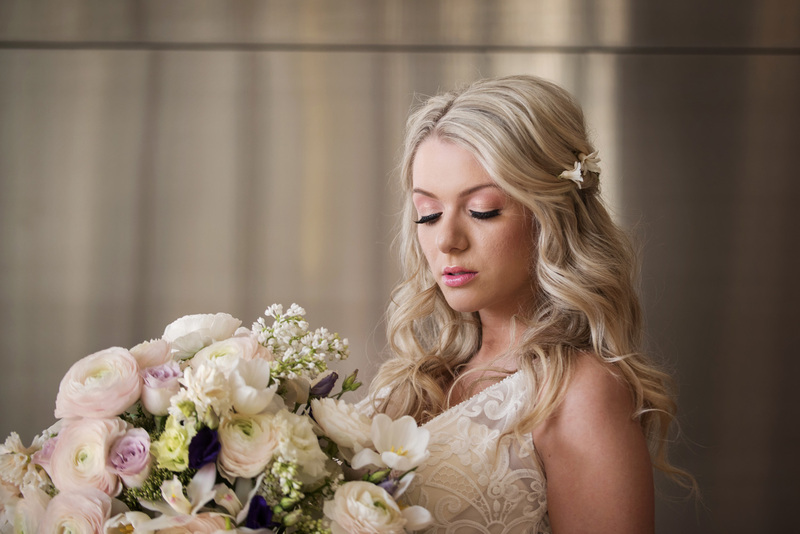 Bethza Professional Make-Up Artist Studio kept Toni’s make-up light and airy. 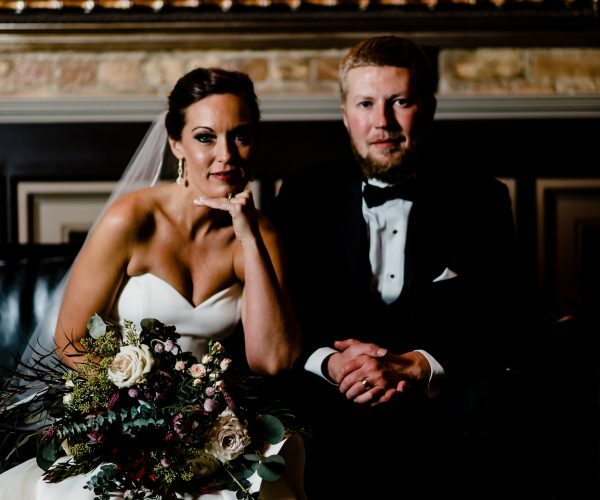 The blush colored eyeshadow really made her blue eyes pop! 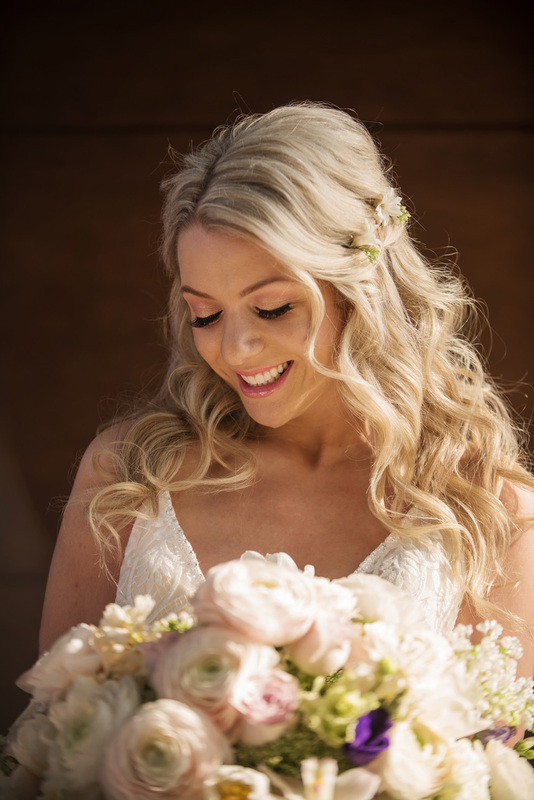 Since Toni already looked like a princess, Marissa Lehman from L & M Hair Design decided to give her a floral crown which showcased the beautiful curls that is in every girls dream!